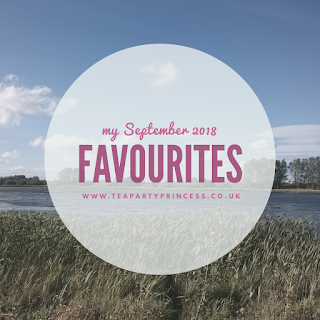 I love reading everyone else's Favourites posts, as I'm a very nosy person, so here's mine! I'm going to be honest - a huge part of my love for this book was the nostalgia. Uglies was one of my favourite series growing up and I'm so excited that it's continuing. You don't need to have read any of the other books first as this is set in a future timeline. I thought it was fantastic, especially the ways in which the characters changed so much throughout the story. I love stories of secrets and betrayal and this definitely ticked those boxes. Divergent by Veronica Roth, narrated by Emma Galvin. I am very late to the Divergent party, which is a surprise even to myself. It's dystopia, a genre I can't get enough of. And I absolutely adore the film. I'm glad I listened to this as even with the differences I love Tris and Four and their chemistry. Oh man, the chemistry. I thought that Killing Eve was absolutely stunning, and Jodie Comer was nothing less than outstanding as Villanelle. And Sandra Oh was back on my screen! As soon as this became available on BBC iPlayer I watched it all in three days. It's definitely compulsive viewing, and the ending was explosive. I can't wait for series two. Vanity Fair has been filling the period drama-shaped hole in my soul this past month, and I've been loving it. Olivia Cooke's Becky Sharp is an absolute delight, and I love how the fourth wall is broken by Becky, like she's letting the audience in on her snark and her secrets. I also love the soundtrack, it makes the series feel so fresh. Yep, I know it's a kids program. But OH MAN the chemistry between the two main characters! I can't get enough of it. It's like butterflies-in-your-stomach cute. I love that they don't know each others secret identity, I love their banter, I love how well they work together. I love how cocky Adrien is too, and how Marinette is so relatable. I got Clare Bowen's debut album on release day on 31st August and I've basically been listening non-stop. Warrior is my favourite track and I cry every time I hear it. I got to see her on the 4th September at the Sage Gateshead and she was wonderful. And yes, I cried. I have been loving Rosie Lea Tea UK's William Wordsworth Inspired Tea. It's a naturally caffiene free blend and I've been drinking it on an evening to unwind. It's packed with chamomile flowers and lavender against South African rooibos and is very soothing. As part of my Primark Haul, I picked up a Jewel of the Sea Princess Face Mask for £3. It contained green tea to help refresh and revitalise skin, and it smelled amazing on. I have to say that the mask did wonders for my skin after all of the win we've been having, but being printed with Ariel's face it looked terrifying on! I love me a bit of tartan and I've been after a tartan skirt ever since the temperature first hinted at dropping down for autumn. The skirt I actually liked the look of most was a tartan pleated skirt, but it was far too short (and this is from someone who's just 5'2"!) but I dug around some more and found a gorgeous dark red tartan a-line skirt. It sits just about my knee and swishes as I walk. I have already managed to squeeze in two autumn picnics! Cue the tea, hot chocolate, sandwiches, and sausage rolls. And a sneaky bit of reading because I would hate to not be on brand. The first one was super windy and a bit colder than anticipated and I'm not going to lie I regretted only wearing a jacket haha. Thank goodness for the flask of tea! The second one I was better prepares and wore a coat, only for it to be a bright and windless sunny day so I was too warm. My favourite post this month has been my Primark Haul. It's the first time for me truly stepping out of my book blogging niche and it was so much fun. 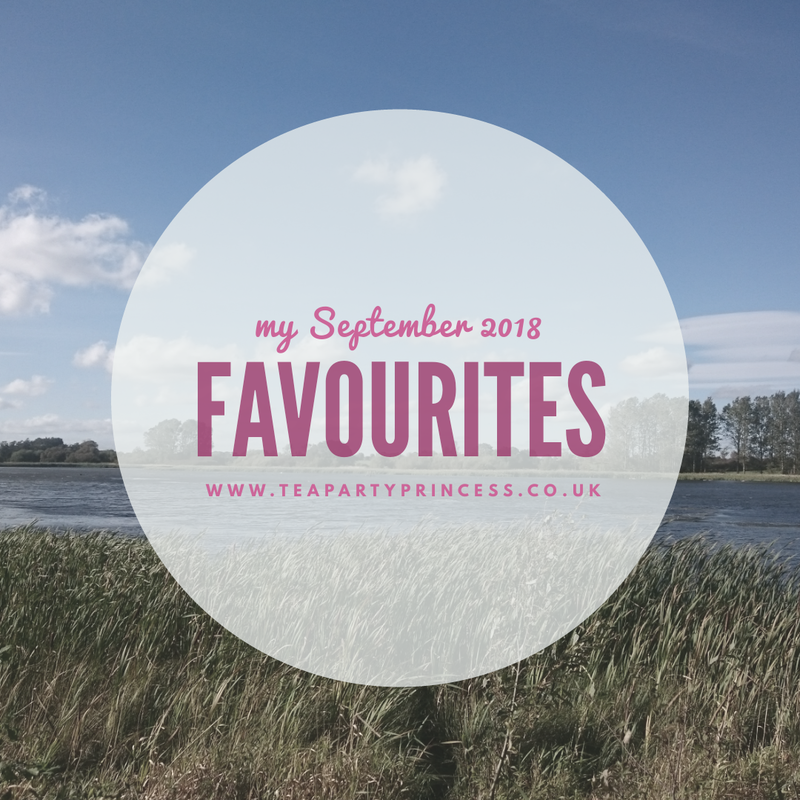 I can't wait to do more similar posts, and Friday's September Empties post was another chance to stretch my wings and go back to my blogging roots of anything and everything. I spend at least an hour each day reading blogs, and these are just five of my favourite posts from the past month. Not gonna lie, I have read some excellent posts this month, these just absolutely shone through and are the ones I came back to more than once. Because yeah, I'm that person who rereads blog posts as well as books. When you're feeling a little down about blogging, posts like this are great - they remind you on why you do it. Because blogging is awesome and fun and a way to share your passion, and Aoife pointed out so many good things about it. I took part in this survey so I was super interested to see the results. After reading them I'm actually really pleased with how my blog is doing, it's put things into perspective in terms of how far I've come. 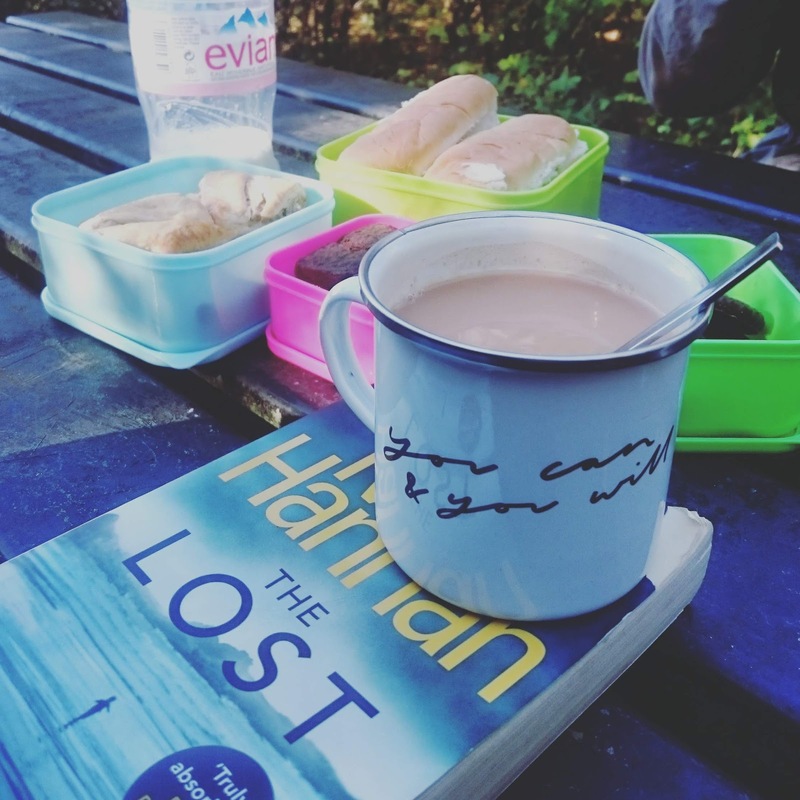 Sarah's post about trashy novels really resonated with me. I love trash. I read it often and I read it for Me, because it's entertaining and makes me feel good. And Sarah is totally right in that we need to stop putting down entertainment for entertainment's sake. Does anyone else love having a nosy at bullet journal set ups? I'm terrible at sticking to a bujo myself, but I can't get enough of seeing what everyone else is doing with theirs. Shirley has gone all out for October and the spreads are gorgeous! I also love a little bit of tartan and am currently on the hunt for a perfect skirt! I'd definitely recommend Asda, I've worn it around twice a week since I got it haha. I love tartan. I loved it, your spread was gorgeous! I loved Killing Eve too, such a fab show!! Ooh let me know what you think about Killing Eve! I haven’t been on a picnic in the longest time, I need to have one. I have watched the first few episodes of Killing Eve and love it!! Ahhh love a good favourites post! Everyone's been raving about Killing Eve, I feel like I should give it a go! Oooh! I'm going to have to check out Divergent on audio! I've been meaning to reread those! And that William Wordsworth sounds absolutely lovely!! Oh friend. Please let me have updates as you read the other Divergent books. They're one of my favourite series and I have many thoughts and feels. I am absolutely LOVING Killing Eve. We're up to episode 5 and I cannot get enough of it. I LOVE this favourites post. Looking forward to more of these! I'm glad you liked Impostors, I loved the Uglies series and I can't wait to get to Impostors! 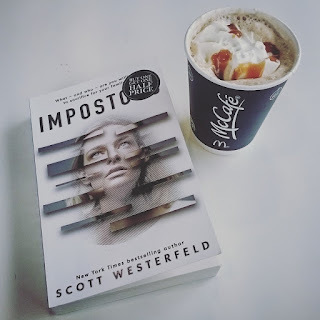 Impostors sounds like an amazing read! And I adore autumn picnics. Thank you so so much for featuring my blog post as one of your favourites, Cora! It means a lot to me that people read my posts and take something away from them - reading this has made my day! I absolutely love the sound of your autumn picnics too, I might suggest to my bf that we have one of our own at the weekend! The William Wordsworth tea sounds amazing too, there's nothing I love more than chamomile! They're definitely an experience haha, just make sure you have more layers than you think you'll need. I also loved the Uglies series when I was younger! I didn't realize Imposters was set far ahead of the others. I'm glad to hear you enjoyed it! Psh, I watch lots of kids shows/movies. When they're good, they're good :-) And they're often a nice break from the heaviness and seriousness of real life and adult shows/movies. Miraculous sounds cute! It was just so nice to go back to the world again. And yes, when they're good they're good. Miraculous is so freaking cute, and I'm lucky my nephew loves it as it's an excuse to watch it again (and again).